We’re giving away Kraus KPF-2250 Single Lever Pull-Out Kitchen Faucet, sponsored by Best Kitchen Faucets Hub. They provide reviews of kitchen faucets, from pull down, touchless and commercial faucets. The Kraus faucet that we’re giving away is a highly rated kitchen faucet on Amazon, and available for $81.74. This classic single-lever faucet is a simple and functional way to complement your kitchen. Clean lines and a streamlined silhouette make it easy to coordinate with any décor, from classic to contemporary. A streamlined pull-out dual-function spray head switches between stream and spray at the push of a button. 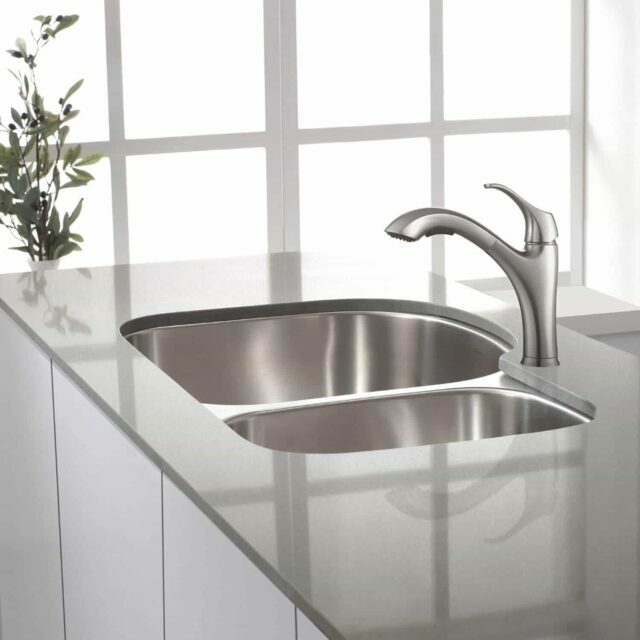 Lacquered stainless steel finish protects the surface and helps keep the faucet spotless with minimal maintenance, for a stylish look that satisfies your everyday needs. This faucet matches many popular fixtures and appliances, making it easy to create a beautifully coordinated kitchen. 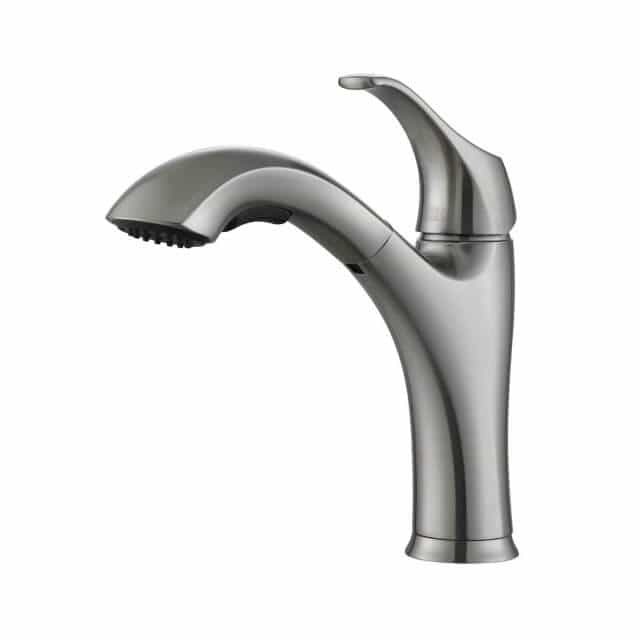 To ensure smooth operation and reliable drip-free use, this faucet is constructed with top-quality components, including a ceramic disc cartridge and durable low-flow aerator. For easy installation, mounting hardware and an optional deck plate are included with purchase.